He spent the first six months rebranding, repositioning, and relaunching the organization. Since then he has helped lead the organization’s growth and client development efforts as well as being the lead strategy and negotiation advisor on the company’s largest deals. While owners often think about a future exit strategy, frequently there’s a huge gap in creating a strategic plan on how to get there. 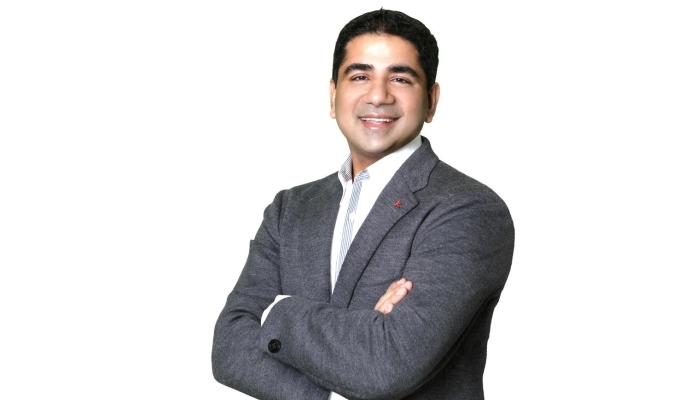 From his own experience with his former firm Saber Software, Nitin demonstrates both the seller and buyer side M&A, besides working with financial and strategic buyers, accelerated the company’s revenues from $14MM to $120MM and a valuation from $35MM to $460MM. Besides being designated as the CEO of MergerTech, Nitin also sits on the boards of Freewire Broadband, the Classic Wines Auction (non-profit), and TIE Oregon (non-profit) and guides over half a dozen companies in the mobile, social, and cloud spaces. A smart businessman, Nitin’s biggest strength is his entrepreneurial flair of functioning and the ability to make sturdy relationships with people. Stirring across different industries and levels, he is known as a complete people’s person, who leads from the front. Our story (about Saber Corp and EDS) and results inspired us to do the same for other entrepreneurs, which led to the foundation of MergerTech. We now aim to help others understand all the different facets of M&A and how we can help YOU transform YOUR work into wealth. M&A consulting has been a great vehicle for meeting new people and organizational challenges every single day; it has been a great journey since day one and I’m very glad that we embarked on it! The revenue generating model for M&A advisors is very standard across the industry. We usually charge clients a small upfront fee of around $30,000 and then 4% – 6% of the sale value of the company. We were profitable on day one. Because of our deep relationships within the technology community we were able to bring on clients very quickly just as we started the firm and were fortunate to be profitable right away. Except for the general sense of doubts that everyone experiences from time to time, no I did not doubt this business and knew it would flourish for decades to come. In the time between selling Saber and starting MergerTech, we made over 20 angel investments in technology companies. In addition to these investments we also advised the CEOs and became friends with them. This advisory relationship is what led us starting the company in the first place since most CEOs would constantly ask advice about when and how to sell their own companies. Hence, when we announced that he was starting MergerTech, some of those CEOs came to us right away to get our assistance on selling their companies. Honestly, word-of-mouth! The best way to generate new business is to create something that people will talk about. I count myself to be fortunate enough to have worked with stellar brands that have grown to be the titans of the industry and that continuously refer MergerTech. Maintaining strong relationships with past and present clients is the best way to get your name out there and meet the right people. There is a lot we wish to achieve, but there is only so much time available to us. While we are able to handle a substantial volume of work at one time, we sometimes have to trim the list of clients we accept in order to maintain our standards for the overall quality of our work. So yes, the toughest decision I’m faced with at times is when I have to choose between two prospective clients and opt to focus our energies on one and not the other. There’s a lot that we have achieved at MergerTech, but I am most satisfied when we are able to secure a new client due in part to a referral or recommendation provided by a previously satisfied client. And obviously, closing a multimillion deal is always satiating. Other than that was the sale of Simple to BBVA. It was an extremely complex cross border negotiation and transaction. We were selling a US technology company to a Spanish Bank and that made it very very complex. The price we got for Simple was also unprecedented: Wall Street Journal said it was the second highest revenue multiple ever paid for a technology company behind Facebook’s acquisition of Whatsapp. See we operate in a domain that is the confluence of two highly dynamic and fast-paced areas – M&A and technology; what excites me is the interplay of these areas in this fast paced digital economy. I am really excited about meeting new people and understanding the key problem that they are trying to address and to see how best we can collaborate with them to take their idea or product and company to greater heights. I am an ardent reader and love reading biographies and journals related to business strategies. My all-time favorites are: Winning by Jack Welch, Sellin the Invisible by Harry Beckwith, and Influence by Robert Cialdini and Execution by Larry Bossidy and Ram Charan. Do you ever consider returning to entrepreneurship, or are you fully committed to consulting? Since I am into this profession of mergers and acquisitions, I’d never rule out the possibility of returning to entrepreneurship; however I am relishing the opportunities and challenges in my current work. How have you been able to enjoy such sustained success in the M&A industry? We deliver great value to our clients. We take our work seriously, we really understand technology and bring domain expertise to the table, we know the buyers really well, we market our clients both in the US and internationally, and we are great negotiations on our client’s behalf really helping them turn the work of their life into a lot of wealth. If I had to give one piece of advice to someone interested in living life as an entrepreneur, I’d urge them to choose an industry you are passionate about and to really know your own strengths and weaknesses.